I’ll Fly Away is a beloved song known around the world, recorded over 10,000 times in every language on the planet. My grandpa Albert E Brumley wrote this song. Grandpa’s last wish was to create an organization to support children and music. He filled out the paper work but died before he could file it. Fast forward 34 years. I wanted to start a non-profit for kids, but I didn’t’ know how and I wondered if I was crazy. One day I came across a blue folder in our music office. It contained the paperwork for the Brumley Foundation. I knew it was a sign, so my husband Kevin and I used our life savings and filed the paper work for the I’ll Fly Away Foundation. We began by giving away scholarships to graduating seniors who wanted to major in music in college, but we quickly realized kids going to college for music would form their own band and drop out of college. Kevin pointed out we are publishers and I make up songs for everything so why are we utilizing our expertise in songwriting. I thought this was a great idea. See, I used to get in trouble in first grade for spelling my name wrong. Mrs. Rowe would get on to me every day. I spelled my name Besty. Another thing I used to do was hang out with my Grandma and Grandpa Brumley every day and I would watch Grandpa write songs. So, I decided I would write a song about how to spell my name right. Betsy I would sing. It worked. I no longer got in trouble for spelling my name correctly. I started writing songs about everything. I realized I could learn so much quicker and better by writing songs about it. So, I wrote songs about everything. I graduated at the top of my class. What no one knew until I was in college was that I am dyslexic. 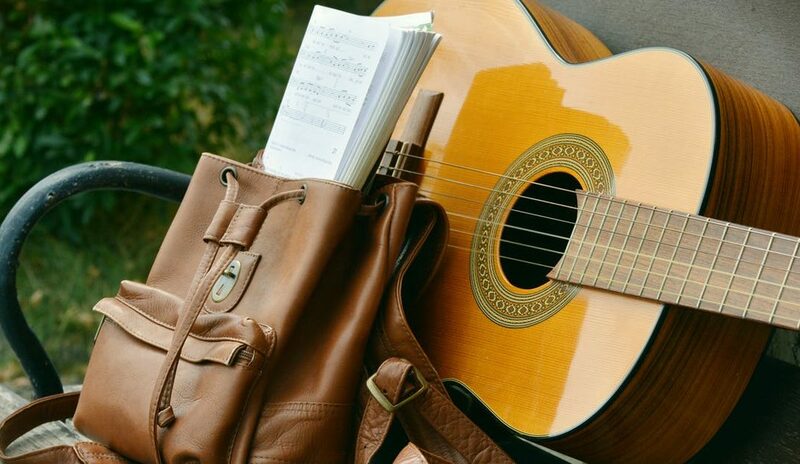 Songwriting helped me learn even when couldn’t grasp what I needed to learn. Kevin and I decided to take my experience and develop a songwriting program for kids. We figured if it worked for me then it would work for other kids. We were right. Since we started the You Can Fly Songwriting Program 5 years ago, we have impacted over 6,000 children. We have seen test scores rise, barriers fall away and friendships form. We have seen children who could not connect with others begin to connect. We have seen children blossom in front of our eyes. We have seen a child find hope. The You Can Fly Songwriting Program is unique. As far as we can tell, there is no program like ours. We not only song-write with the kids, we have a professional development piece for the teachers and assessment tests to ensure we are teaching what the children need. We are developing a 5-year plan for each school system we work in to create a career path for students who have an interest in music. This sounds like a good plan. But how do we fund it? Right now we are relying on private donors for which we are forever grateful. We started the Power of Music Festival as a fundraiser to help fund our songwriting program. Now coming up to it’s third year, we expect close to 10,000 people to attend. To help support our once a year fundraiser, we highlight our local talent with a monthly showcase. We began the Ozark Regional Songwriters Association (ORSA) to encourage our local songwriters. 8 months of the year 8 songwriters perform with a live audience who provides feedback for our songwriters to grow. The audience votes on their favorite songwriter each month and those favorites will perform for music industry leaders at the Power of Music Festival. We’ve had one of our ORSA songwriter members move to Nashville and begin a music career. We know the I’ll Fly Away Foundation could not function with our support from our donors and sponsors. We are forever grateful for their support. If you would like to support music in the schools please click here. To find out more about the I’ll Fly Away Foundation’s You Can Fly Songwriting program, click here. To find out more about the Ozark Songwriter’s Association, click here.